If you’re thinking about getting a pet rat, you’ve probably asked yourself the question how big should a rat cage be. 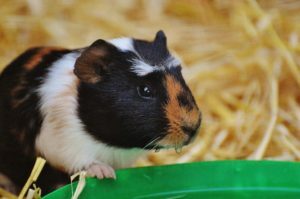 The quick answer is that a single rat will need a cage that is at least 2.5 cubic feet in order to meet the minimum rat cage size requirements set out by the RSPCA. 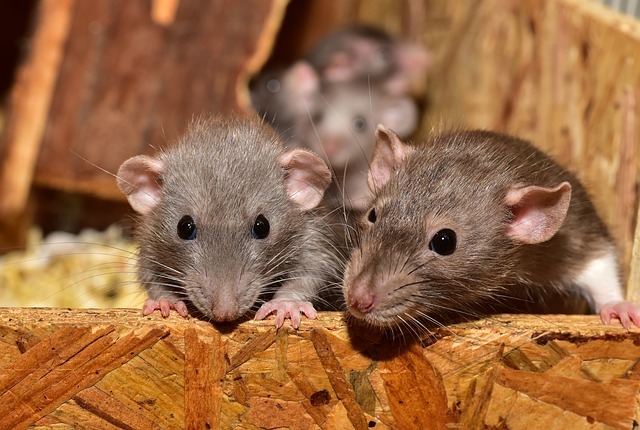 If you plan on keeping more than one rat, you can use the rat cage calculator located above to figure out what size cage you will need to get in order to meet your rat’s needs. The A&E Cage Company 3 Level Small Animal Cage (Buy Online) is a large rat cage that is well suited to house a good sized rat colony. This cage has a total internal volume of approximately 16.8 cubic feet. That makes this cage large enough to house 6 to 7 rats quite easily. One of the really nice things about this cage is its three-level design. Each level takes up the full length and width of the cage. Each of the levels are connected by easy to climb ladders that will help encourage your rats to exercise throughout the day. The three large doors located on the front of this cage will make it easy to get access to your rats no matter what level they are on. In addition, this cage also has 4 small feeding doors, these doors will allow you to feed your rats without having to take the risk of your rats trying to escape. And to top it all off you also get four stainless steel bowls with this cage, so you won’t have to buy them separately. When it comes time to clean this cage the slide-out tray will allow you to perform cage maintenance with ease. The shelf on the bottom of the stand will also come in handy if you want to store litter or anything else you need to maintain the cage. Finally, the stand also has built-in casters, so even though this cage is quite large moving it around will be very easy. 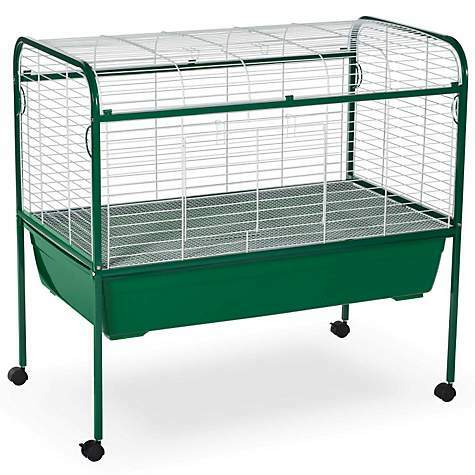 The Prevue Hendryx Green & White Small Animal Cage with Stand (Buy Online) is an affordable large rat cage with a nice set of features. This rat cage has a total internal volume of approximately 13.3 cubic feet. That makes this cage large enough to comfortably house 3 to 5 rats. This is a single level cage with a deep litter pan and a removable wire mesh grate. You can either let your rats live on the metal mesh floor, or you can remove the mesh floor and let the rats live in the litter pan. One of the benefits of leaving the wire floor in is that the cage will be easier to clean. The downside to keeping the wire floor in is that it can hurt your rat’s feet. 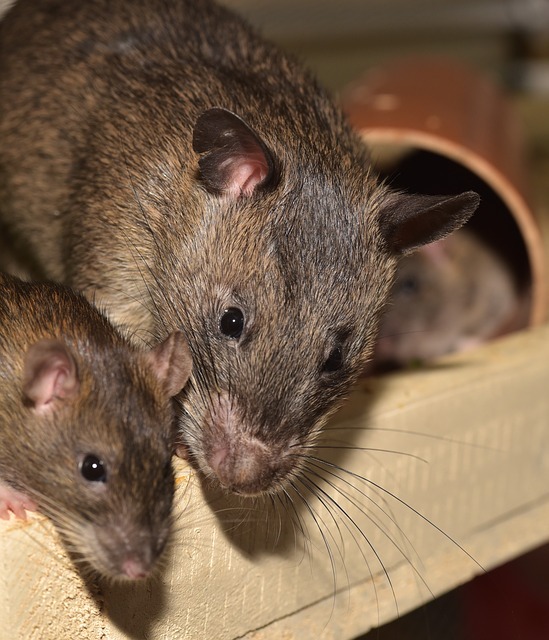 In most cases keeping the rats in the deep litter pan will actually be a better option since they will be more comfortable, and they will also feel more protected and safe. Moreover, if you keep your rats in the deep litter pan there is less likelihood that any litter or debris will escape the cage. One of the other nice things about this cage is the stand with built-in casters. The durable tubular steel stand will help raise the cage off the ground, so it will be easier to access and maintain. The casters will also allow you to easily move this cage around, so you can take your rats around the house with you wherever you may be. 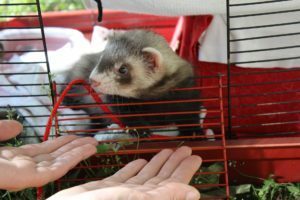 The Kaytee Multi-Level Exotic Pet Home (Buy Online) is a large rat cage that won’t take up a lot of space. This cage has a total internal living volume of approximately 9.5 cubic feet. That makes this cage just large enough to house a colony of 3 rats. 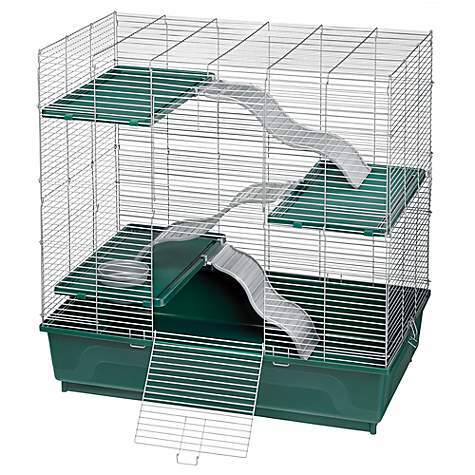 Your rats will love exploring all three levels of this well-appointed cage. Each level is made up of a plastic platform that takes up a third of the width of the cage. The platforms are connected together by wavy plastic ramps. The wavy design of the ramps makes them much easier to climb since they don’t have a very steep grade. The Kaytee Multi-Level Exotic Pet Home also comes with an included food dish that fits into one of the platforms. This is a nice feature since it makes it much harder for your rats to knock over their bowl and spill food all over the floor of their cage. The other nice thing about this cage is the design of the litter pan. 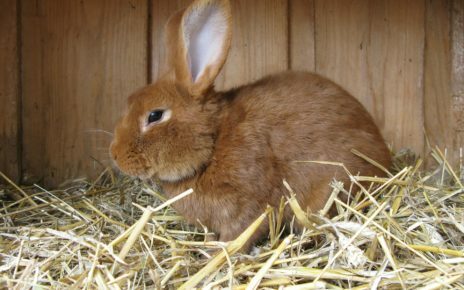 The litter pan on this cage is extra deep, so it is very unlikely that any shavings or debris will end up outside the cage. The litter pan is also made of plastic, so any stuck on debris will easily come off with a paper towel and a little spray. 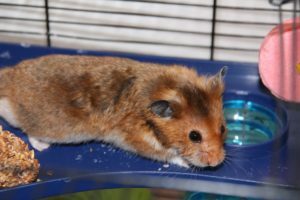 The Prevue Hendryx Cocoa & Cream Small Animal Cage (Buy Online) is a portable easy to maintain medium sized cage. This cage has a total internal volume of about 13 cubic feet. That makes this cage just large enough to house 2 to 5 rats. Inside this cage, you will find a removable wire floor that you can easily take out in order to protect your rat’s feet. 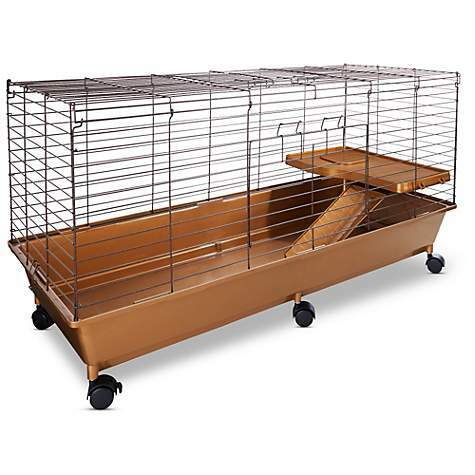 This cage also comes with a single platform and a ramp for your rats to hang out on and explore. The platform and the ramp are fully adjustable, so you can lower them if you do remove the wire mesh grate. If you do decide to remove the wire floor then your rats will enjoy living in the privacy and comfort of the extra deep litter pan. The deep litter pan will also help keep any messes the rats make contained in the cage. Finally, the built-in stand will elevate the cage, which should help make maintenance and accessing your rats a simple activity. The stand also comes with built-in casters, so it shouldn’t be hard to move this cage around for anyone no matter how strong they may be. The You & Me Living The Dream Small Animal Habitat (Buy Online) is the perfect rat cage for someone who is a little tight on space. This cage has an internal volume of approximately 8.5 square feet. That makes this cage just the right size for keeping 2 to 3 rats. The one really nice thing about this cage is its dimensions. 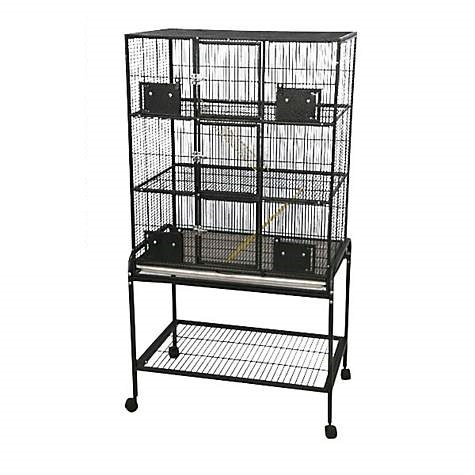 This cage measures 40” L x 17.5” W x 21” H. The good thing about a cage that is long but not wide, is that you can place it against a wall and it won’t stick out into your main living space. 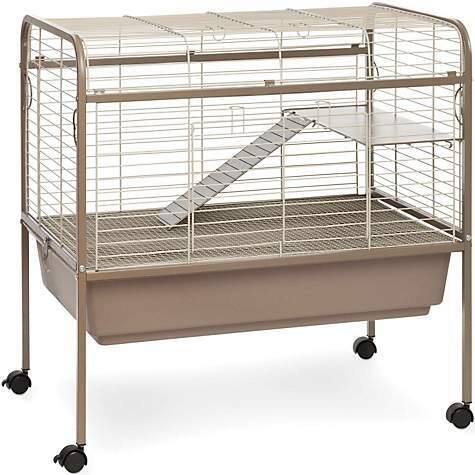 Your rats will also love this cage since it comes with an adjustable platform and a ramp. The plastic ramp has a nice anti-slip pattern molded into its surface. 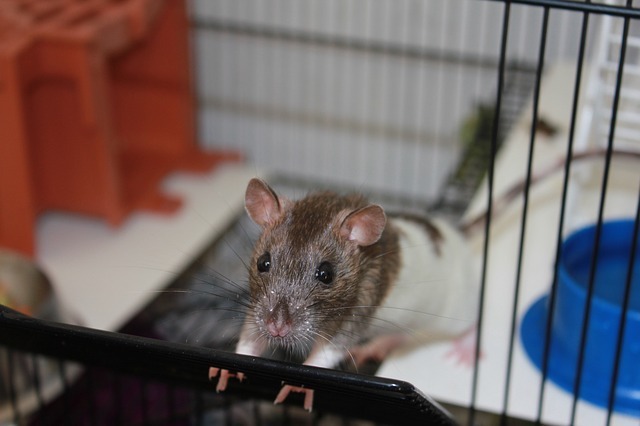 In addition, the plastic platform has a raised lip around its edges, so any debris your rat tracks up there won’t easily be kicked out of the cage. The litter pan on this cage is also extra deep, and it has built-in casters right on its base. The deep litter pan will help keep the area around the cage clean. While the casters will allow you to move this cage around the house with relative ease. The WARE Chew Proof Three Level Small Animal Critter Cage (Buy Online) is a great cage if you want to give your rats a little more vertical space. This cage has a total internal volume of approximately 7.8 cubic feet. That makes this cage large enough to house 2 to 3 rats quite nicely. The three levels in this cage are comprised of the litter pan and two additional wire mesh platforms. The platforms are each about one third the width of the cage. The ramps are also wire mesh, so everything on the inside should be easy to clean. There are two doors on this cage, one of which will allow you to reach the lower level while the other will give you access to the top of the cage. All the doors come with strong safety locks, so you won’t have to worry about your rats escaping this cage. Wile the litter pan on this cage is not as deep as some of the other cages mentioned on this page it is still very easy to clean. If anything sticks to the plastic litter pan all you will have to do is gently wipe off the debris. The Hagen Living World Deluxe Habitat (Buy Online) is one of the most full-featured small rat cages on the market. This cage has a total internal volume of just about 6.6 cubic feet. That means this cage has more than enough room to house 1 to 2 rats. This cage comes with a wide range of features and accessories. First, you get a nice little rat hideout included with this cage. The hideout will probably end up being one of your rat’s favorite places to hang out throughout the day. On top of the hideout, you will find a spot to put the included plastic food bowl. This nice little feature will help reduce the risk of your rat spilling food all over the floor of their cage. 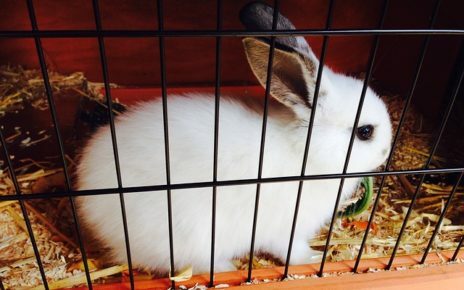 This cage also comes with a hay guard that can be used to keep things safely elevated out of the cage. You will also get a drip-free water bottle with this cage. Basically, all you will need when you get this cage is some shavings and some food and it will be ready to live in immediately. The curved full-length top door on this cage is also another nice feature. The large door will allow you to reach your hands into any area of the cage. The large door will make it easy to do cage maintenance and to pick up your rat even if they aren’t making it easy. 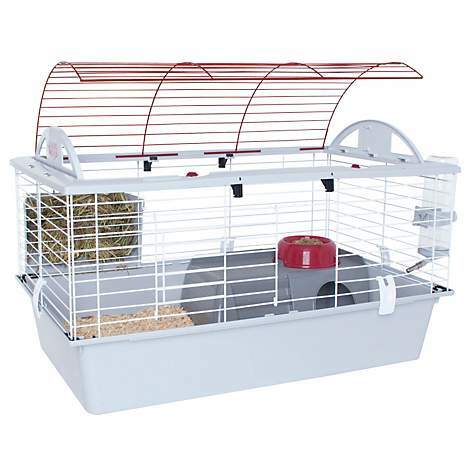 The WARE Home Sweet Home Small Animal Cage (Buy Online) is a great small rat cage for someone with a tight budget. This cage has a total internal volume of approximately 3 cubic feet. That makes this cage just big enough to house 1 rat safely. 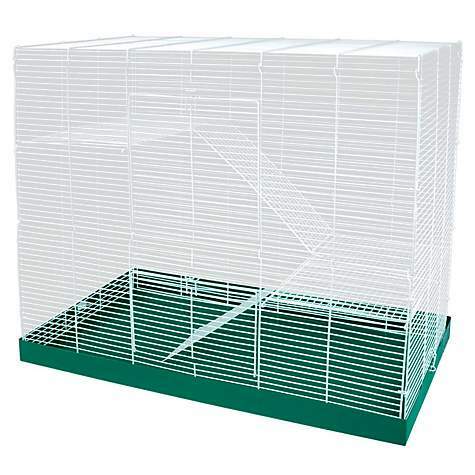 This is a no-frills cage that will act as a good starting point if you are new to keeping rats. This cage has a nice deep litter pan to help keep any messes from ending up outside the cage. 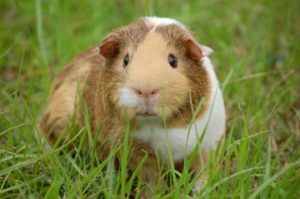 The two-piece design makes maintenance easy since all you will have to do is remove the upper wire mesh in order to clean the cage. A single rat should be kept in a cage that is at least 2.5 cubic feet. 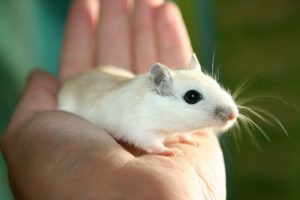 If you keep a rat in a cage that size you should be prepared to let them out of their cage to stretch their legs at least once a day. If instead, you plan on keeping your rat in their cage all day long, then you might want to consider getting a 3 to 4 cubic foot cage. If you plan on keeping two rats in a single cage then you will need a cage that is at least 5 cubic feet. Of course getting a larger cage would be a good idea to reduce the risk of conflict, and to give your rats a little extra space. 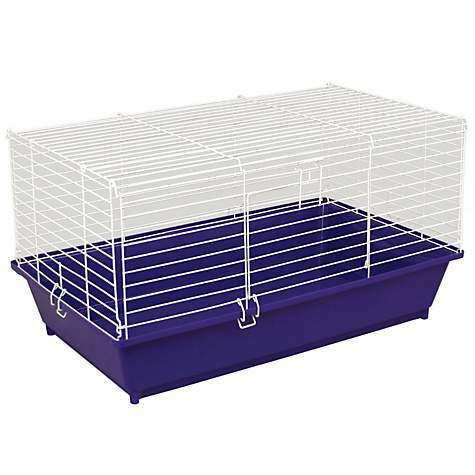 For that reason, a 7 to 8 cubic foot cage would be the optimal rat cage size for 2 rats. At a minimum, you will need a cage that is at least 7.5 cubic feet to humanely house 3 rats. In actuality, though you will probably want to get a larger cage in order to limit stress and territorial behavior. In that case, you should try to get a cage that is at least 9 to 12 cubic feet if you plan to keep 3 rats in one cage. 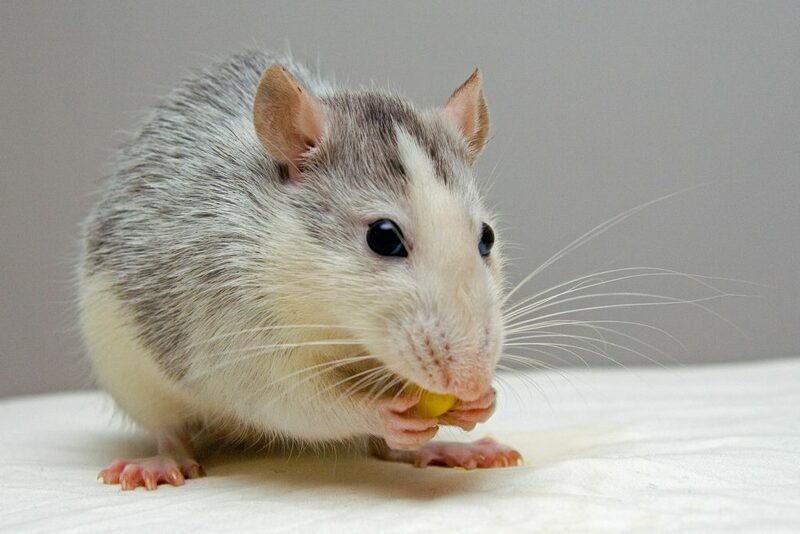 The average pet rat can reach a body length of 9 to 11 inches. The average tail length of a rat is 7 to 9 inches. 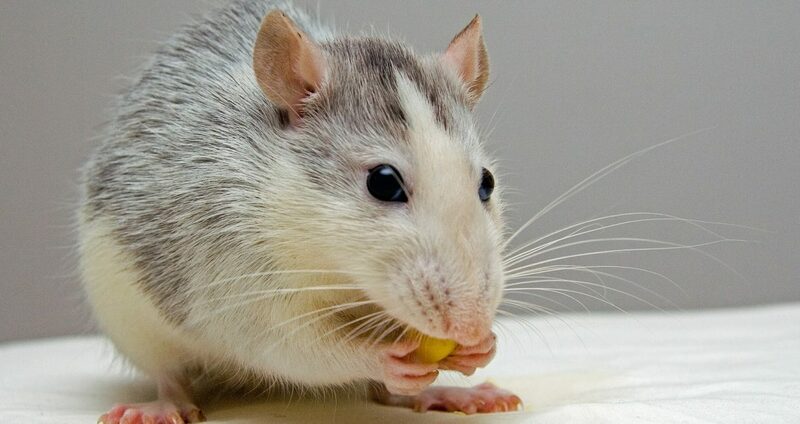 While the average adult rat weighs 450 to 650 grams, although there have been some adult male rats that reach a weight of 900 grams (2 pounds). Bar spacing is an important consideration when it comes time to purchase a rat cage. 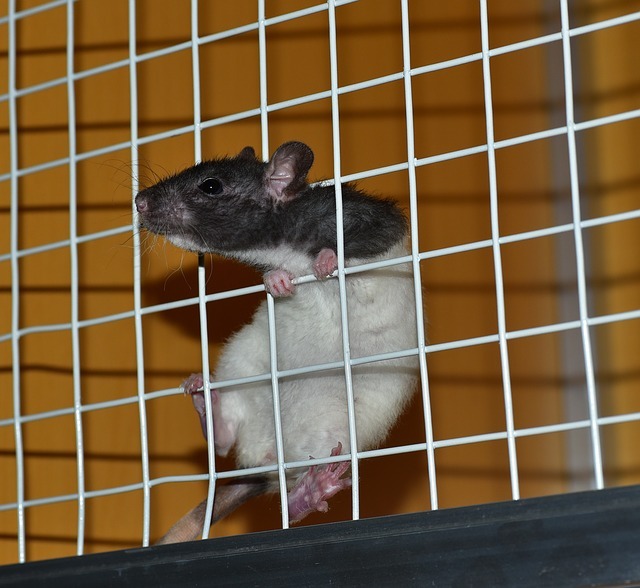 If a cages bars are spaced too wide you run the risk of your rat escaping their cage. If the bars are small enough to contain their body but not their head they can become stuck in the bars which can lead to injury. For these reasons it is recommended that a rate cage have a bar spacing or no greater than ½ inch.